Okay, so here goes my best Matthew Berry impression. No, this is not the Draft-Day Manifesto – this is the Fantasy Professor’s Draft-Day Philosophy. Just this Summer, I have participated in drafts for 8-team Best Ball leagues and a 15-team ROTO league where there are points per carry. While I understand that every draft is different, there are consistent rules to apply when drafting. I am put in this position to share these tips with you because I happen to be pretty good at Fantasy Football. Nobody wins their league on draft day, so please, take the draft-day philosophy as merely a guide for the very beginning of your season. There will be lots of laughs, moments of frustration, and tears shed during the year, but having a good draft can minimize the suffering. Ready to amp up your Fantasy Football prep even more? 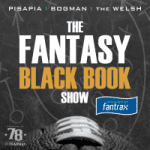 Check out The Fantasy Black Book Show, where Joe Pisapia, Scott Bogman, and The Welsh bring the goods every week. Think of draft day as your Week 1. The QB5 in Yahoo standard leagues last season was Kirk Cousins . He outscored the QB12, Jared Goff, by 28.1 points for the season. The RB5 (Melvin Gordon) and the RB12 (Jordan Howard) were separated by 70 points. The previous year, using the same comparison, the difference between the fifth and 12th best Fantasy quarterbacks was 43 points- the running backs, 67.6. And in 2015 the quarterbacks were separated by 26.7 points while the running backs were only 32 points apart that season. This tells me that every season in the past three years, the quarterbacks are consistently close in scoring – relatively speaking. It also tells me that the separation of the fifth and 12th running backs has increased substantially in a short period of time. I attribute this to the wave of talent that the NFL has seen at the position in the past three years (Gordon, Todd Gurley, Ezekiel Elliott, Alvin Kamara, etc.). Rule changes in the NFL that are pass-friendly and the sensational, multi-skilled pass-catching running backs in the league have helped benefit the quarterbacks. Everyone is a gunslinger these days. Say what you want about Jameis Winston (and I’ll back it 100 percent) but he will have multiple QB1 weeks (after his suspension). 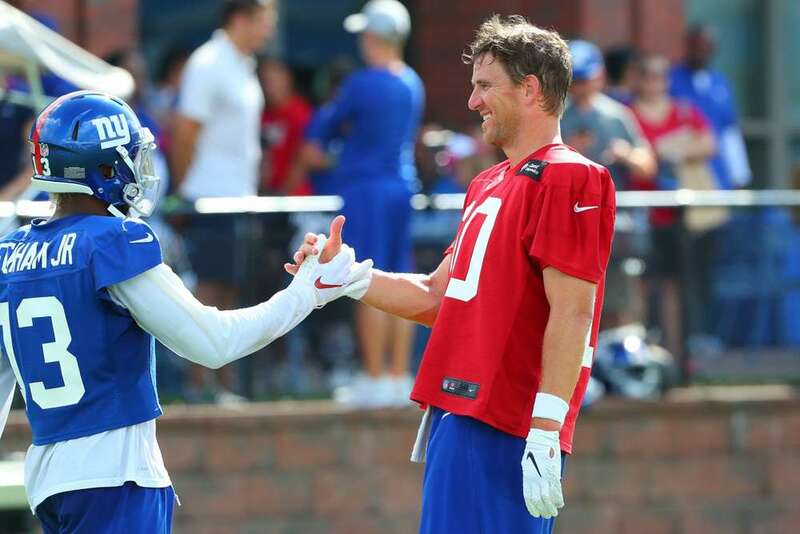 Eli Manning has Saquon Barkley, Odell Beckham, Evan Engram, and Sterling Shepard which is arguably the best Fantasy-friendly roster in the entire NFL. The Giants’ quarterback is being taken in at the end of the 13th round. So, why get Eli Manning when you can draft Russell Wilson in the fourth round? Because there are too many valuable running backs and wide receivers that will provide you starting quality at premium positions that have multiple starting slots on your team. Based on the numbers provided earlier, you can’t afford to draft a quarterback early. Yes, Aaron Rodgers will win you weeks, but so can Ben Roethlisberger. Just draft a whole bunch of running backs and wide receivers. It is nice to have some rankings to pull up on draft day. Otherwise, you are a slave to the ADP of whichever Fantasy platform you are using. Luckily, Fantrax provides up-to-date ADP daily but it is still safer to use someone else’s rankings. Minimizing risks. You get it. Who can supply the most accurate rankings? Well… you. Only you can decide who is going to click “draft” so you have the most authority in this process. In a live draft, this is even more important because players will most likely not be listed by a particular ADP. There are many platforms that make it easy to rank players but one simple and efficient way to do it is to make tier-based rankings. This becomes useful when you are on the clock. If there is one running back left in your tier one, and you are on the clock, he would be the obvious choice if you wanted a running back. This is a big part of my draft-day philosophy. Try and take the last guy in a tier – unless I really feel strongly about a player this season (and based on my roster construction). Taking one of the last guys in your tier will give you consistently give you the best value. Keep the tiers short. If you think Odell Beckham is in a tier by himself, then that is fine. Having these tiers can guide you through a draft very smoothly. Sometimes we can throw stats out the window and plant our flag. This either works out or it does not, simply put. But, reaching for “your guy” in the fifth round is a lot safer than doing so in the first round. The first round is, without question, the most important pick in the draft. If you take anything away from my draft-day philosophy – make it that. This is not the time to mess around. Luckily, this season’s first round is the deepest I can remember. But, you still want to play it as safe as possible while drafting a player that can provide Top-positional upside. The fourth round is where I usually try to find value at the running back. Whether it be Alex Collins or Lamar Miller, there are backs that you can take that will provide 200-plus carries and consistent RB2 numbers. However, if your guy is Kenyan Drake and you have all three in the same tier- go for Drake and don’t be afraid to reach. The tight end is similar to the quarterback in Fantasy Football. 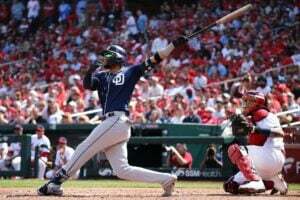 There is usually just one starting roster slot for the position and there are two or three guys that separate themselves from the pack in regards to end-of-season overall finishes. There are two guys in this year’s draft that I will take if the value is right- Rob Gronkowski and Travis Kelce. If one of them drops I see a huge advantage by having one of these players. Last season, the TE1, Kelce, and the TE2, Gronk, finished with 194 and 190.8 Fantasy points respectively. Kyle Rudolph was the TE7 and finished with 129.7 Fantasy points. So what if you miss out on one of these guys? Stream during the season. Do not connect your team with the tight end you drafted unless he can be reliable every week. As Berry stated, Fantasy Football is a weekly game. So stack up those wide receivers and running backs. Be patient and get a tight end you can start Week 1. And there it is- a little insight into how I draft. @ me on Twitter and tell me about your draft day successes and/or failures using this strategy. I would love to talk about them on the Hot Take Podcast sometime and give you a shoutout.